You guessed it – this game fuses the themes of aliens and robots. We’re given an anime-esque graphic style that offers cute characters and a crisp look. 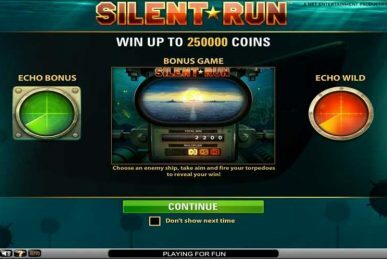 Its simple format provides players with a 5 reel, 30 payline structure that also offers the ability to choose 243 ways to win for an increased wager cost. 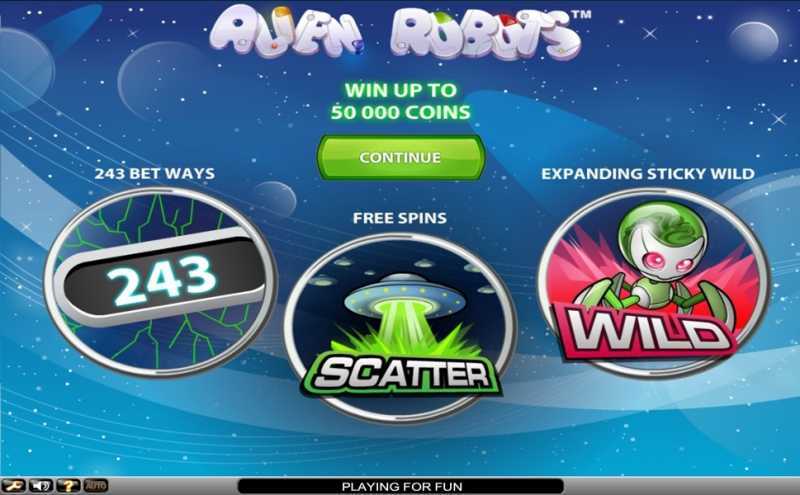 Let’s find out more, and see the best casinos to play at. As we’ve become accustomed to with all of NetEnt’s games, there is a free spin feature that is triggered by 3 or more UFO scatter symbols. 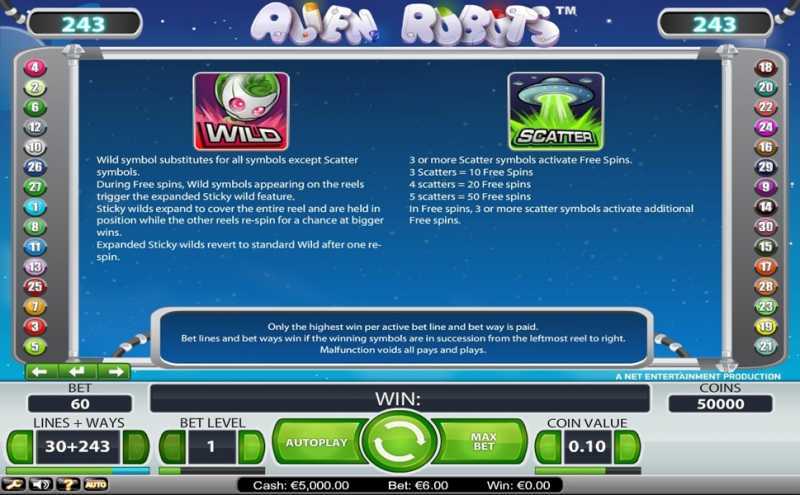 The number of free spins you win is determined by the amount of symbols you match; 3 symbols gives 10 free spins and so on until the max 5 symbols gives you 50 spins. During this mode regular wilds become expanding ones and you also get awarded a free re-spin which repeats itself if more wilds appear. 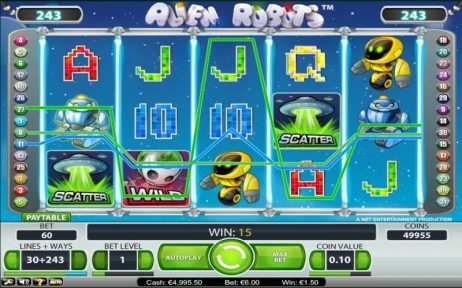 The slot provides you with the opportunity to choose the number of paylines you want to bet with at any time during play. 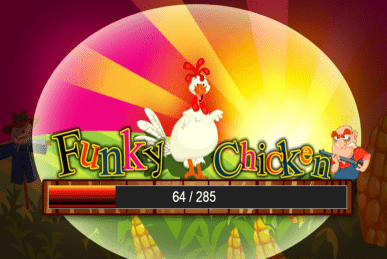 This can give you an impressive 243 potential ways to win! 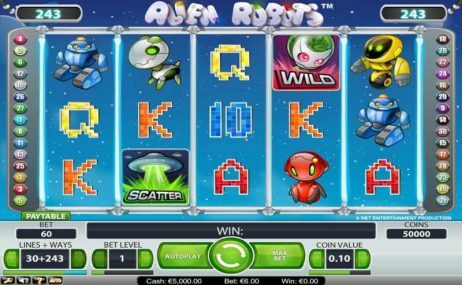 The obvious downside is that it will cost double your stake, but you’ll be given plenty more winning possibilities in return. In fact there are so many winning possibilities that as long as symbols are on adjacent reels then you’ll be given winning combos. 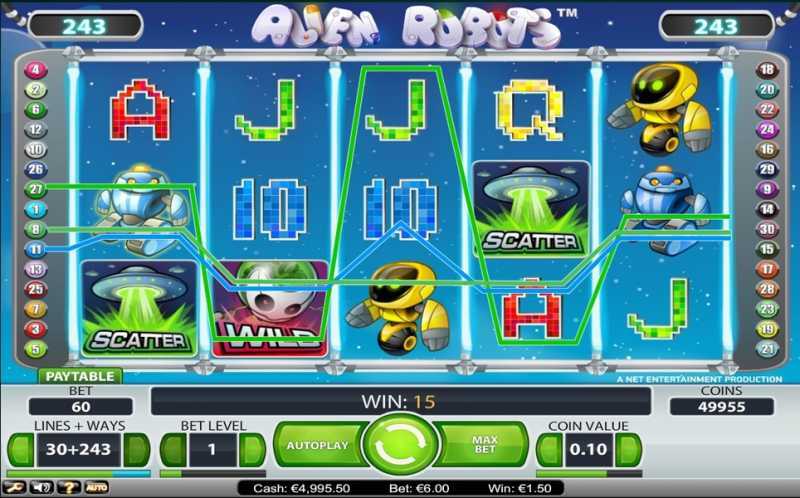 Alien Robots is a simple slot that has the features you’d expect to find in any NetEnt game, but unfortunately it doesn’t set itself apart in anyway. It isn’t the most visually attractive game and its style may deter lots of players, though it does redeem itself with its 243 ways to win and expanding wilds.